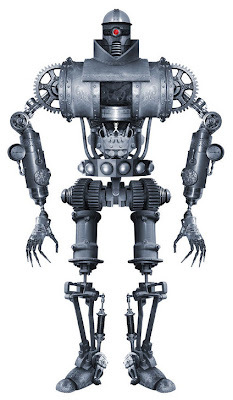 The gang over at DVICE are having a "Steampunk Cylon" contest. Contestants can submit their interpretation of a steampunk Cylon to win. The example that they give is pretty weak. I don't like this form of dysfunctional steampunk. Note how the hips attach to the leg, that can't be functional. And notice that the pivot point of the shoulder, well, can't. :( I prefer my steampunk to at least LOOK like it could work. Hey Mr. Steampunk, have you seen this?